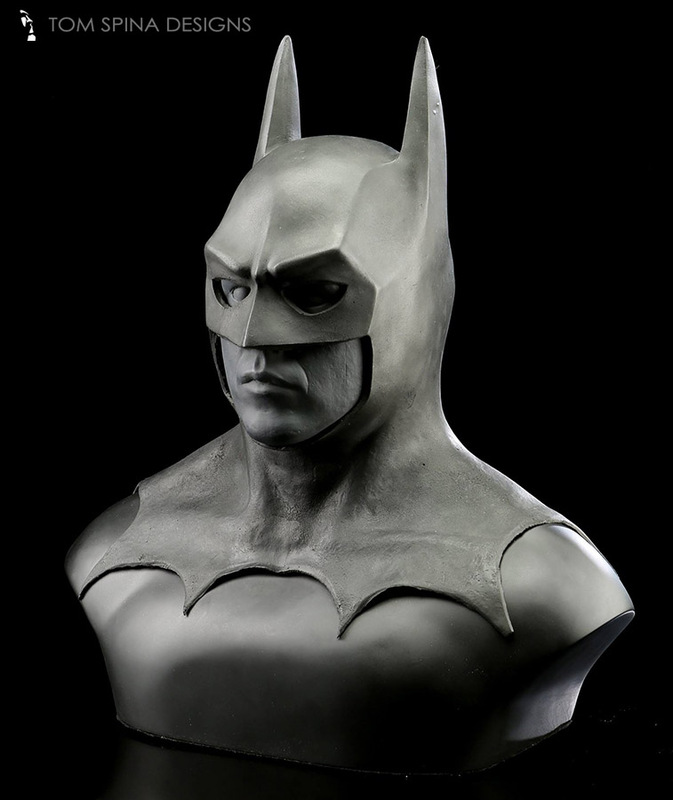 Our display and subtle restoration of an original Batman movie cowl from the 1989 Tim Burton film. 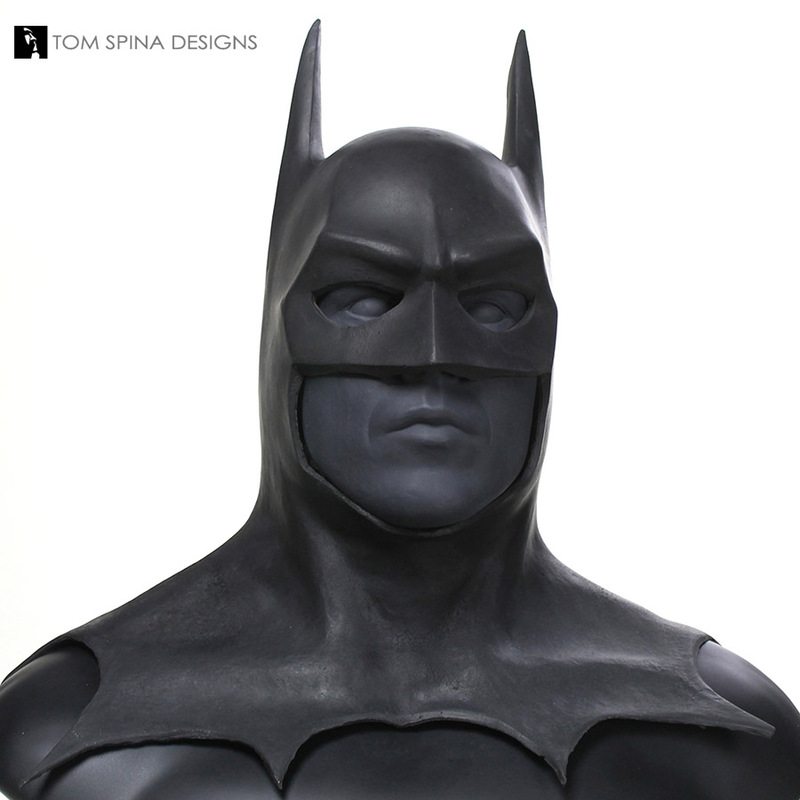 Sometimes the simplest looking projects can be the most challenging, and subtle restoration and invisible repairs, the most time consuming. 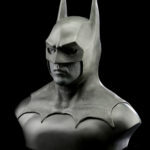 This original 1989 Batman movie cowl is an incredible bit of film history. 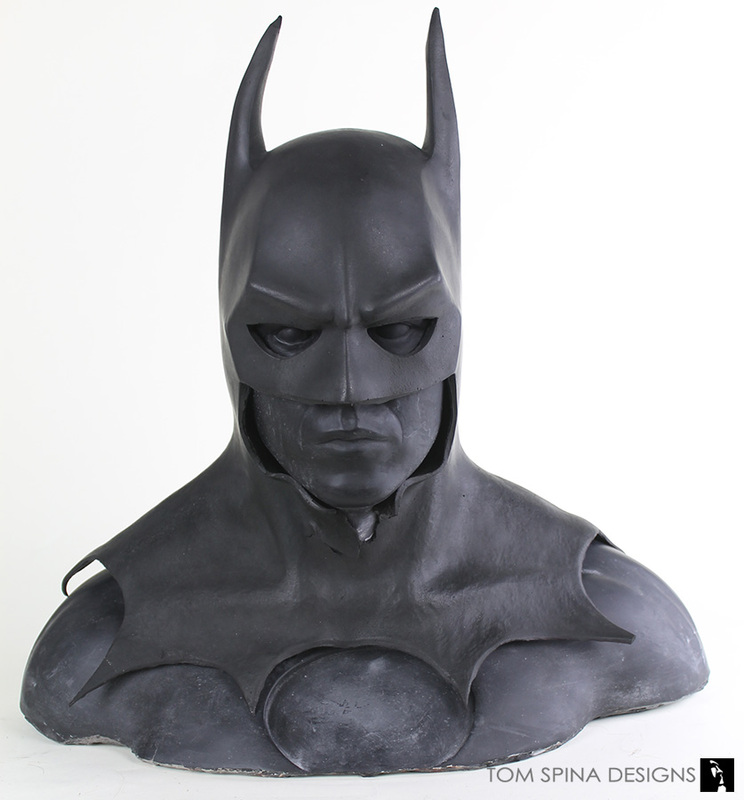 Originally from the production of the classic Tim Burton movie, this foam latex Keaton bat cowl came to our shop in excellent condition, other than a few minor tears and misshapen areas. 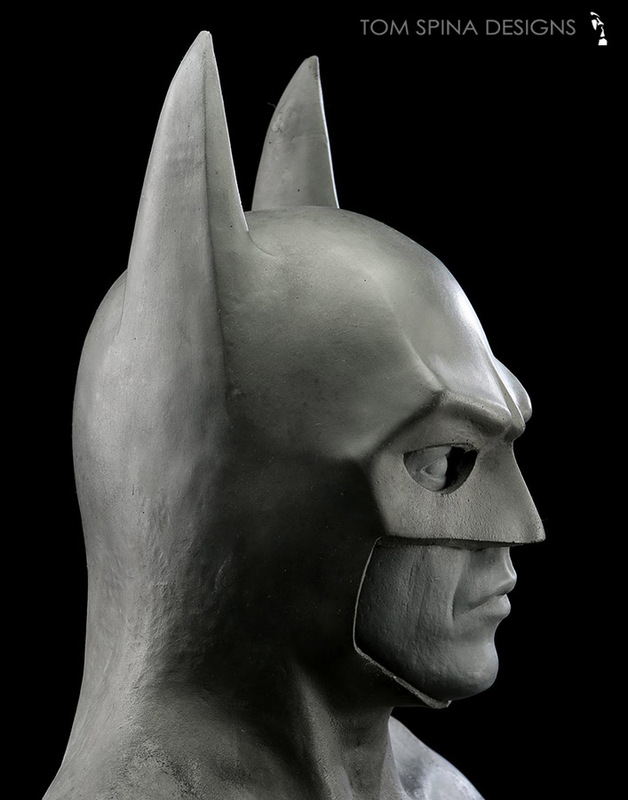 Restoration artist Patrick Louie spent considerable time working on this project to ensure the Batman mask got the proper care and display it (and Gotham) deserves. 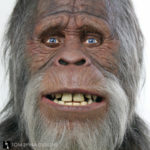 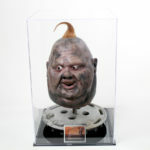 The display began with the sourcing of a modified lifecast of Michael Keaton from the same timeframe as the movie. 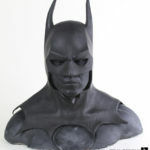 Over time, the cowl constricted slightly, and the bust would need to be modified for a great fit. 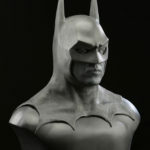 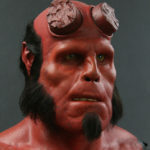 The bust was also a rigid resin material, and unlike Michael Keaton’s skin, it wouldn’t compress within the mask. That’s one of the challenges we often face in making displays for this style of snug fitting movie mask. 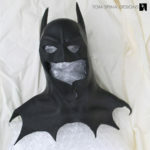 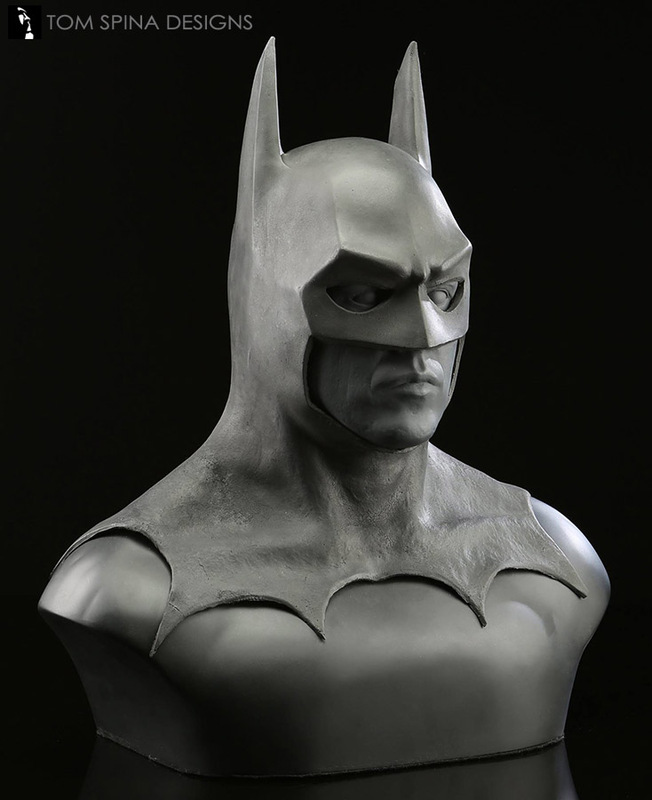 Once the lifecast bust was modified for a fit that would fill out, yet not overly stress the foam latex batman cowl, Patrick then carefully restored the damage to the mask’s chin and neck, as well as reinforcing and straightening the ears and making several other small and subtle patches. 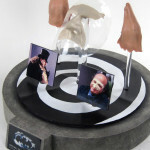 As Tim Burton, Michael Keaton and Batman fans, it was an honor to help preserve and conserve this bit of bat-history. 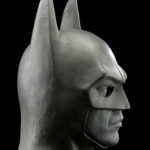 We’ve been fortunate enough to work on quite a few pieces from the various bat-films, so please follow this link if you’d like to see more of our Batman restoration and display projects. 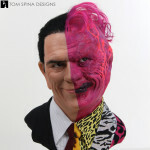 Jack Nicholson as the Joker, need we say anything more?